Earlier, I had made a post on how to upload your pictures from your desktop to Flickr. Well, now it’s time for Facebook to get some love and nowadays, who doesn’t use Facebook? The twist in this article is that I’m going to tell you two different ways you can upload your pictures to Facebook. Both ways are simple, its just the method that changes between the two. One might work better than the other for you, so you can pick whichever option you prefer. That’s the benefit of choice or as I’d like to think, Open Source. 2. Enter the following two commands one after the other. You will be prompted to enter your password, enter the password you use to login to your computer. You can copy and paste if you’d like. 3. After it installs, you can close the terminal application. 5. The application is pretty straight forward with its setup. Follow the instructions to sign in. 7. You can now drag and drop your pictures and create specific albums for them. Make sure you know which pictures you want ahead of time, because as of right now you cannot delete the pictures once they’re placed into the album. I’m sure this little glitch will be fixed and an update will be created, so be on the look out for it. So, therein lies the first method. The second method is just as simple as the first. However, in some ways this method and application included have a bit better feature set. The application is named Nautilus Facebook Uploader and was created by a talented Open Source developer. The installation directions are listed on the site, but I’ll post them here anyways. 6. Select a picture (or multiple pictures) and right click. Well, that’s really all there is to it. If you have any comments, questions, or feedback, please do post them. We appreciate it. Over 220,000 awesome students are learning how to dominate their classes, get more done, and land the jobs they want — and you should too. 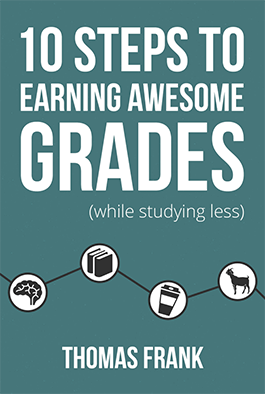 Join in, and I'll also send you a free copy of my book on earning better grades! Stand out and get a company's attention with informational interviews, which go way beyond traditional, sleazy networking techniques. Learn to use the Dreyfus model of skill acquisition to progress from novice to expert in any skill you want to learn, both inside and outside the classroom.